It’s About Time—Improve Your Life with this Simple Tool! Over my career, I have had the privilege of teaching workshops and delivering keynote speeches for some of the most respected professional development companies in the world (FranklinCovey, Shipley Associates, etc.). Another of those companies was DAY-TIMER—the time management company. My mentor there, Warren (Trapper) Woods (affectionately known as “Father Time” to those of us who knew him well), was one of the nicest people I have ever worked with. Warren has since passed, but his timeless wisdom, and the lessons he taught me, are with me every time I stand to teach or speak. There was a prominent man in our neighborhood, who was a successful businessman, religious leader, and civic leader. His name was Mr. Shumway. We had recently engaged in a conversation regarding my progress at the university and my career aspirations. A few days later, as I was walking in the door from school, the phone started ringing. I answered it, and on the other end was Mr. Shumway. He told me that he had done some thinking since our last conversation and had some additional things he wanted to discuss with me. He then asked me if I would like to get a burger at a local drive-in that evening and talk. Respecting Mr. Shumway and his insight the way I did, I readily accepted his offer and anxiously awaited our discussion. When we arrived at the drive-in that evening, he rolled down his window and we each decided what we wanted for dinner from the lighted menu display. Mr. Shumway then pushed the button and waited for a response. While he presented our order to the attendant, I admired all the nice features of his car. As I was looking at the center console, a small note pad caught my attention. I could see it had some writing on it, so, I have to admit, I looked closer to see what it said. I could tell that it was some kind of list. I noticed that about half of the items had been checked off, so I figured it was a to-do list. Then I saw it! My name appeared about half way down the list. Everything above my name had been neatly checked off. I quickly looked away and quietly wondered to myself how such a busy man could find time for me and my questions. I was embarrassed to be taking up his precious time. But for the next hour or so, you wouldn’t have had any idea that Mr. Shumway had anything else to do that day but chat with me. It will allow you to evaluate how you are spending your days and indicate where you might want to make changes. For example, are you keeping yourself busy on low, to no, priority things? Remember, busy does not necessarily equal productive. It will help you focus on priorities, so that the most important (vs. the most pressing) things get done. It will reduce “beginning of the day anxiety.” You will no longer be asking the question, What am I going to do today? Instead, you will be stating, This is what I will do first. Back in the heyday of “day planners,” workshop participants enjoyed showing off their personal planning binders to me. Some people had developed such elaborate schemes and formulas to plan every area of their lives that the business of planning had actually become a hobby. I sometimes wondered how these folks had any time to live their lives after having spent so much time planning them. Life and living don’t always have to be complicated to be effective. Often we humans overcomplicate things. 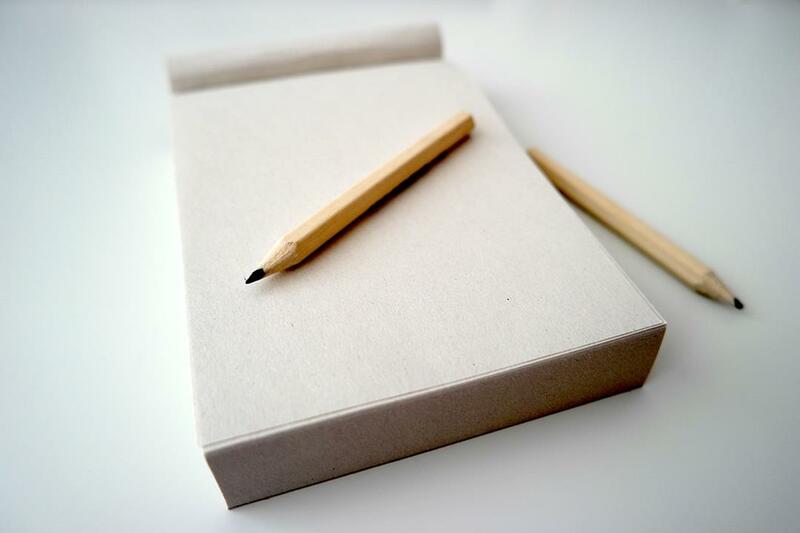 Many years ago, while enjoying a burger with a friend, I learned that you can manage your life very effectively—one day at a time—with a simple note pad and a pencil. Mr. Shumway is no longer with us in this world. Nevertheless, he is one of the 1000’s of people who have shaped my life for good. So, I’d like to close this Blog by simply saying, Thank you, Mr. Shumway. Daily Renaissance offers a Professional Development Workshop titled: Principles of Time and Life Management. For more information, contact us. ⟵When Was Your Last Renaissance? His son is a shinning example of his dad…so are you Mark…welll back to “Change is the tool of Human Progress ” Napolian Hill/// Mark Swain Good thing I have a note pad and pen handy here so I can change/repent and get on with it. Yes, Roger is a great man too. He is a positive influence on many.